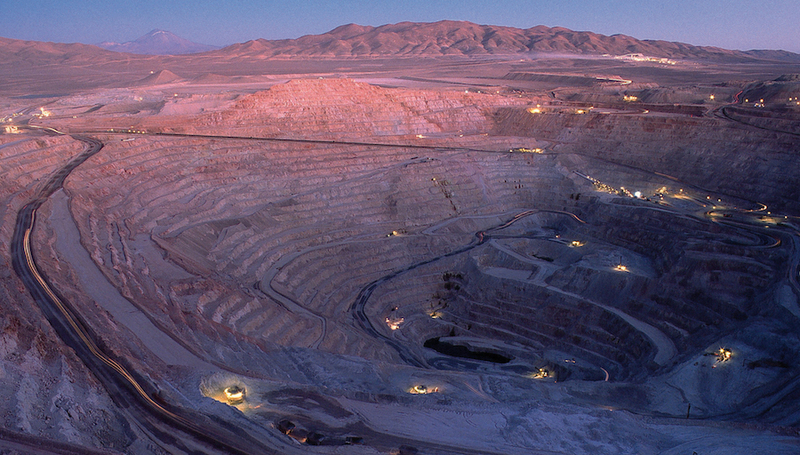 A historically long 43-day strike at BHP Billiton’s (ASX, NYSE:BHP) (LON:BLT) Escondida copper mine in Chile, the world’s largest, may tip one of Latin America’s strongest economies into recession for the first time since the global financial crisis, experts say. A historically long 43-day strike at BHP Billiton’s Econdida mine caused Chile’s copper sector to shrink 17% in February, which may push the nation into a technical recession. While the country’s central bank said earlier this month that the stoppage would only knock a percentage point off GDP growth in the first quarter, FT.com reports the labour action actually caused Chile’s copper sector to shrink 17% in February, which may push the mining-dependent nation into a technical recession in the first quarter of 2017, which will become clear when figures are released in May. Right-wing candidates have been winning races across Latin America lately, and if Chile’s economy continues to disappoint, analysts believe conservative billionaire Sebastián Piñera may be poised for a return to power in the presidential elections scheduled for November. The right-wing candidate promises to restore the so-called "Chilean model", a message likely to secure him hundreds of votes at a time when the country’s current administration, led by leftist President Michelle Bachelet, has been losing approval on the back of higher taxes and more power for unions, which business leaders blame for a drop in investment. Analysts at BMI Research, however, argue the strike will have less of an impact in the country’s overall annual production that originally thought, adding that the nation’s copper sector will return to growth by 2018 independent of who wins the presidential elections later this year. 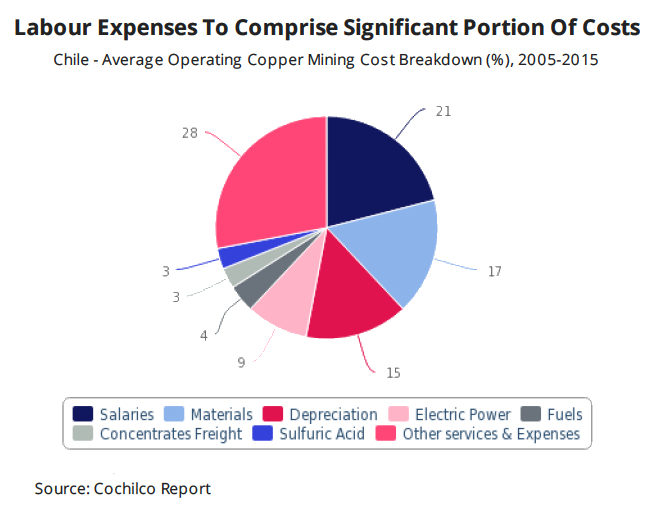 They now expect Chile, which accounts for more 30% of the world's copper supply, to produce 5.4 million tonnes of the metal this year, slightly down from the 5.5mnt it yielded in 2016, returning to gradual production growth thereafter. BMI warns that the country’s rigid labour market will pose considerable challenges to copper miners looking to keep costs low and improve margins amid price volatility this year. Despite the potential hurdles, the experts remain positive on the country's mining industry outlook over their forecast period to 2021.